Vase filler. Turbo Argyrostomus D: 1"- 3" (Green Stripe) Discounts Apply ! Green Stripe Turbo Sea Shells. These pretty turbo shells have such awesome color. It is showing its deep natural colors of turquoise aqua and cream. 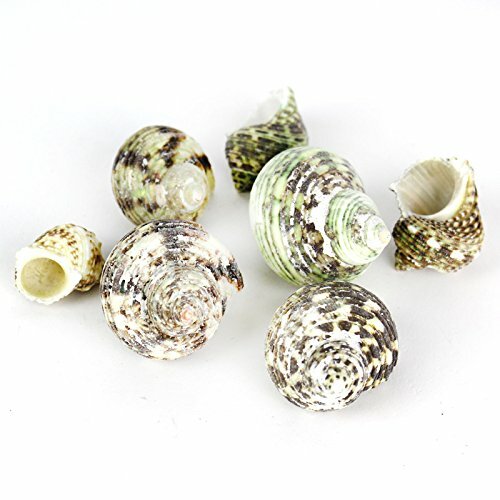 It's perfect for your beach wedding, crafts or home decoration. These are not specimen shells. Some will have natural imperfections, blemishes, cracks, etc. The scientific name of this shell is Turbo Argyrostomus. Number of pieces show in photos is reference only. Dimension and weight is a approximation.